Sr. Madeleine (on the left) and Sr. Fidelis Marie (Rt.) left Saturday, January 17th for three months of exposure to other Priories in our Congregation. 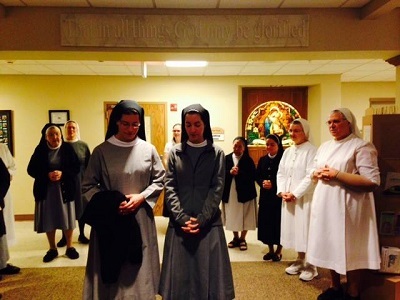 Sr. Madeleine is heading to Olinda, Brazil and Sr. Fidelis Marie to Tutzing, Germany. Praying for a safe trip and blessed experience!